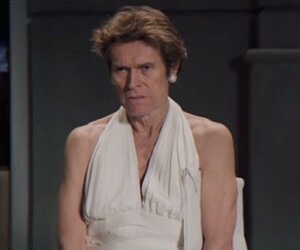 Willem Dafoe and Eugene Levy star in the new commercial for Snickers. Msg – You’re not you when you’re hungry. HP: “America’s original sweetheart isn’t so sweet when she’s hungry”. Swetheart, don’t look at me like that. It’s gonna be amazing. Who’s the genius who puts a girl in heels on a subway grate? Miss Monroe, eat a Snickers. You get a little cranky when you’re hungry. This scene’ll never make the cut. Morons.